The Union Chapel, near the Cemetery, was built in 1858 on half an acre given by Mr Joseph Davies for a place of public worship and shared by the Protestants for many years. 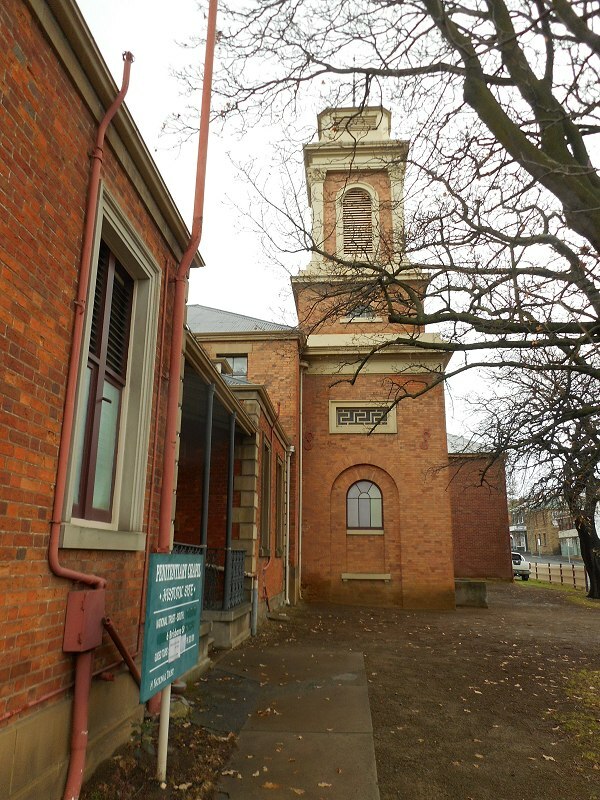 Parts of the old Government House in Hobart were used in the construction. In 1884 the Church of England withdrew to build St Simon and St Jude. 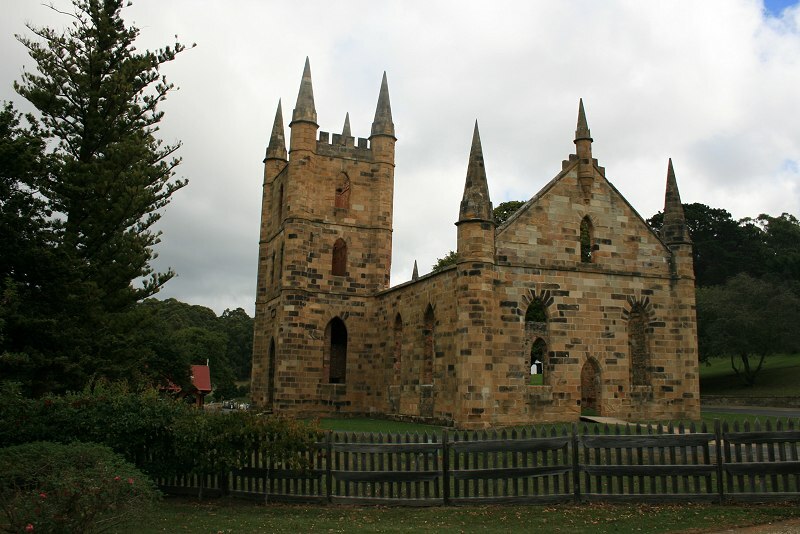 The Wesleyans continued to worship there till the major bushfire of 1897 when the chapel was burnt. Today the old cemetery marks the site and the lives of first settlers. Cnr Brisbane & Campbell Sts, Hobart. Google Maps. 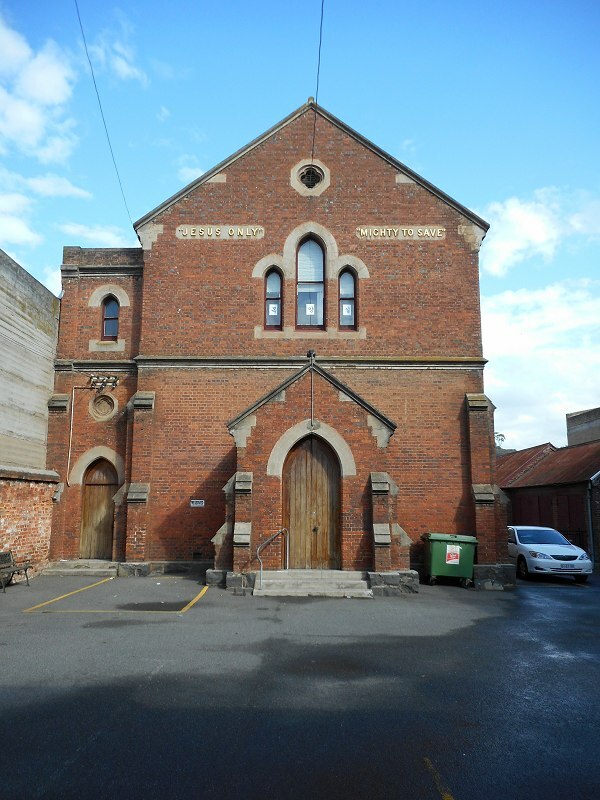 Opened 1833 on a site adjoining the prisoner barracks, later city gaol. It was used as a chapel for the prisoners and to cater for the free population that had grown too large for St David’s. 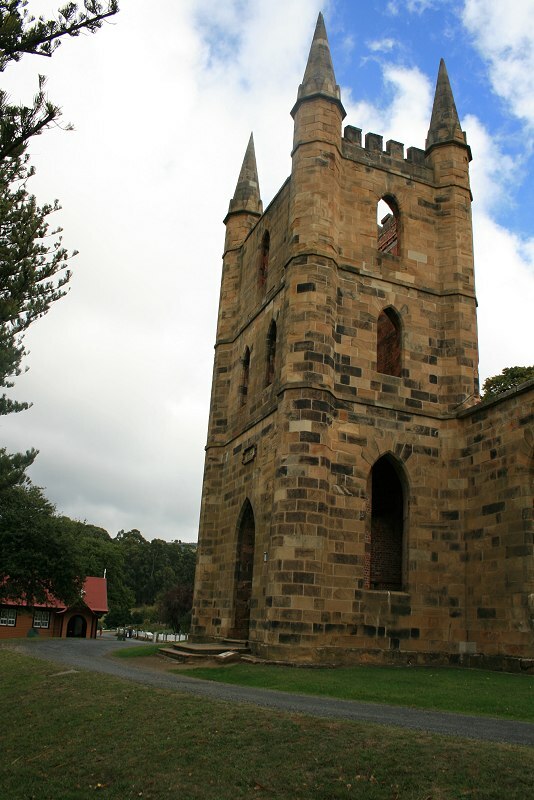 Anglican services but never consecrated, due to its association with the prisoners. For more information, visits one of the links below. National Trust page for visiting details. Non-denominational. Opened 10 December 1882. 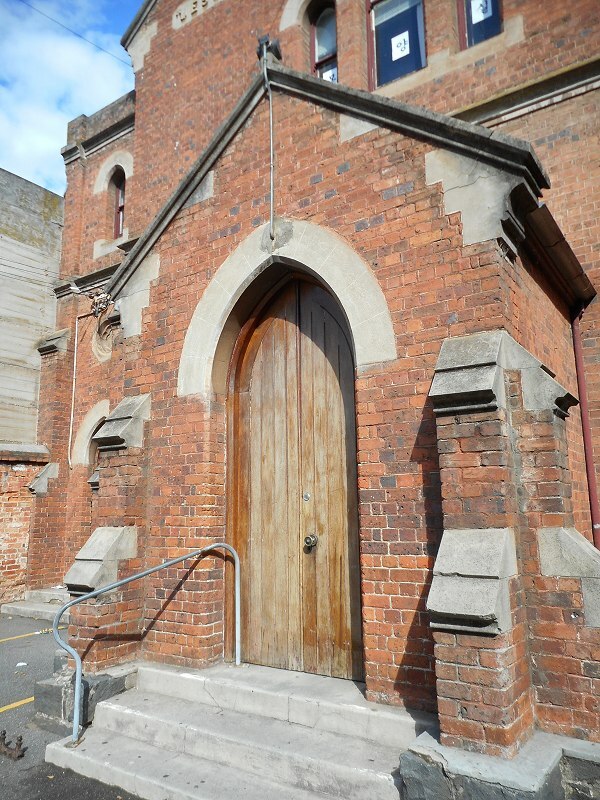 Currently used by a cooperative Anglican & Uniting congregation and a Catholic congregation. On Sunday last the inhabitants of the little town ship of Bicheno gathered together to celebrate the opening of a new church. Very curiously, but altogether undesignedly, the church was opened exactly 12 mouths after its inception. On December 10, 1881, it was decided to have it built, and on December 10, 1882, it was opened for public service. In the morning the Rev. H. T. Hull officiated according to the Presbyterian form of worship, delivering a very excellent and appropriate sermon. In the evening the Rev. J. Nethercott, incumbent of Swansea, conducted service according to the usage of the Church of England, giving an earnest discourse befitting the occasion. At these services collections were taken, amounting to a little over £1. On Monday evening an excellent tea was provided by the ladies of Bicheno and its neighbourhood, after which a concert was given in a large room kindly lent by Mr. Harvey for the purpose. Both tea and concert were intensely appreciated by all present. Thanks are due to all who in any way contributed to the evening’s enjoyment, and especially to those who at great personal inconvenience had to travel long distances to do so, The church, which is undenominational, a handsome and commodious, and reflects the greatest credit on Mr. Allen, the contractor. It Being his firs attempt at ecclesiastical architecture, high praise is due to Mr. Allen for the efficient manner in which the work in all respects has been executed. Mr. Allen tendered to erect the church at the lowest possible figure, and has added many improvements outside his contract, so that the margin for profits will be almost nil. Opened 6 June 1880. In Wellington Street, behind the large Reed Memorial Baptist Church. Originally, a skittle alley occupied the site and this was converted by Henry Reed into a Mission Church with Sunday School. 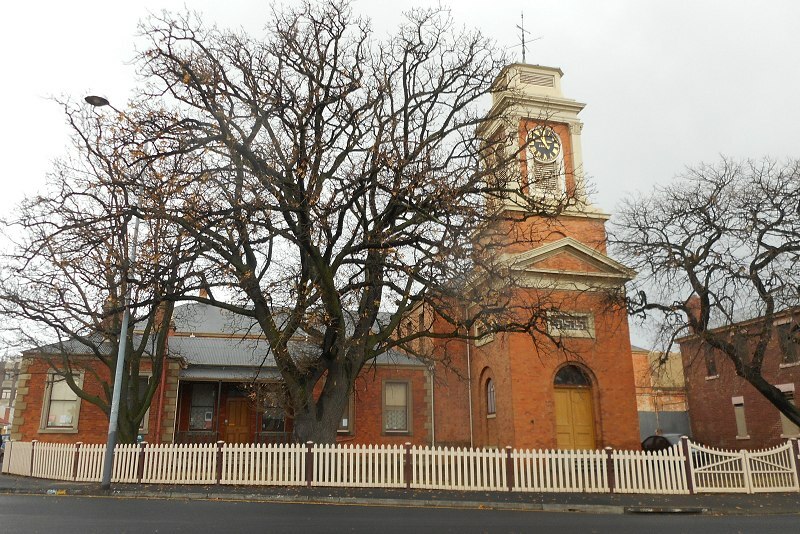 After a couple of years, this was replaced by the current brick structure, which later became the Sunday School building. Can be seen in the background of this photo. 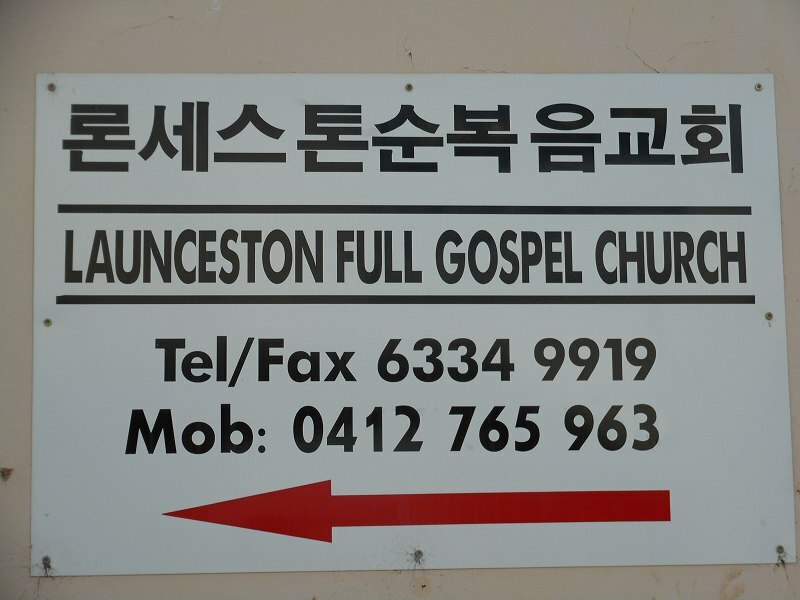 Currently (2015) it is operating as Korean Full Gospel Church. The hotel which he bought from Mr. Parr (it is still inhabited) was a dilapidated concern with several old stables and coach-houses, and a long shed, which had been used as a skittle alley. Mr. Reed thought it might be made to answer his purpose, as it was situated in the very right position for the work he contemplated (in probably the [?] of the city at the time). 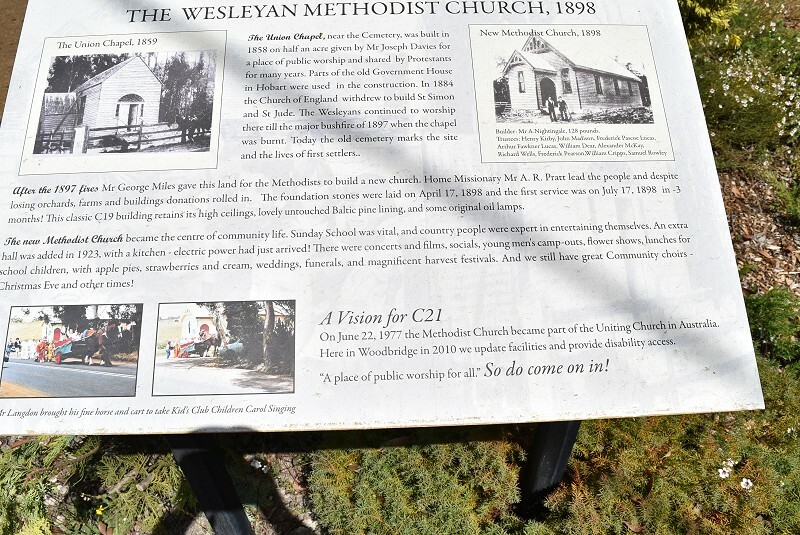 It was not until nearly a year after that he saw his way to go forward in the matter, and then he attached the mission to the Wesleyan Church. He did not build fresh promises at first, but had the long shed cleared out, painted, gas laid on and seats put in. 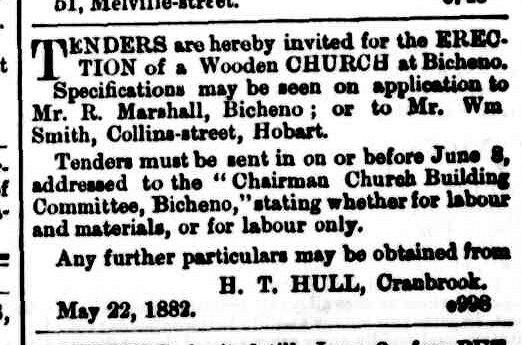 The church work began in July, 1876. It went on for nearly a year, though there was a lack of harmony between the mission and the church to which it was united. Finally they separated. 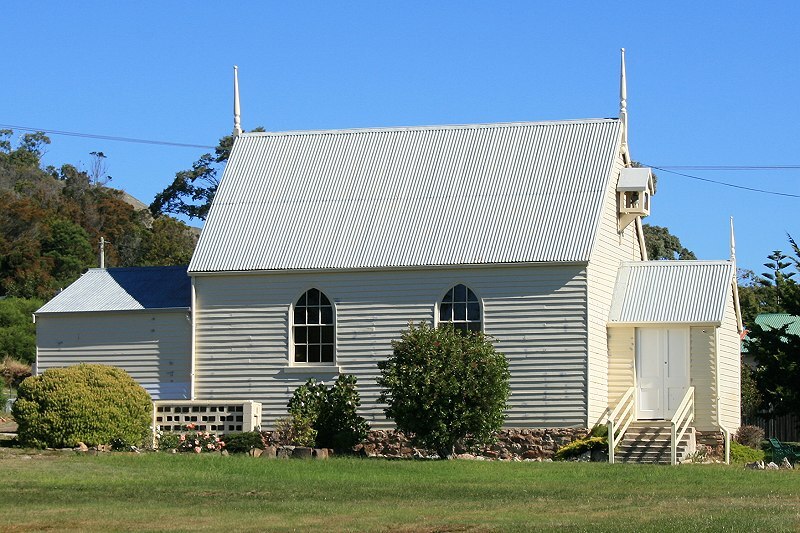 A Sunday school was commenced in 1877. The work prospered, and it was desirable that the new and more permanent building should stand on the very ground occupied by the skittle alley. In order to do this a temporary place had to be prepared in which to hold the services while the building was being erected, and this was accomplished by clearing out and fitting up some of the old stables on the other side of the yard, where the congregation worshipped for more than 12 months. 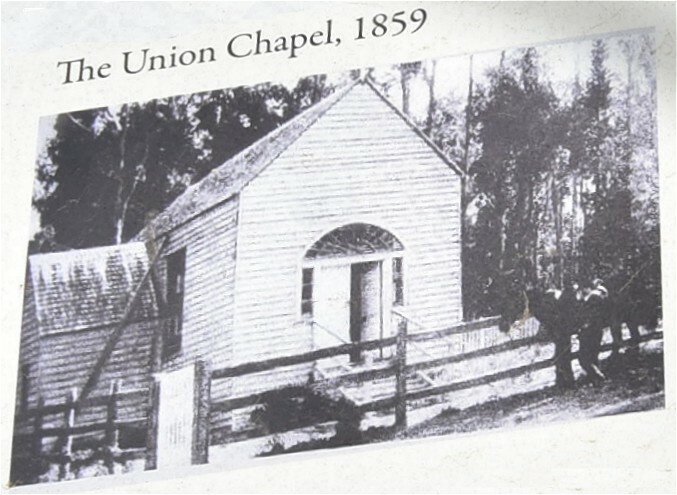 On June 6, 1880, the new building (the present Sunday school) was opened for service. It was capable of holding three hundred people. Built in the mid-1830s, with much of the stone carved by the boy prisoners Point Puer. It was never consecrated because it was used by various denominations. The church was burnt out by a fire in 1884. Small building on left is St David’s Church (1927).